Juniors Embroidered Bib | Multicolour | Helps to prevent baby clothes from getting stains. 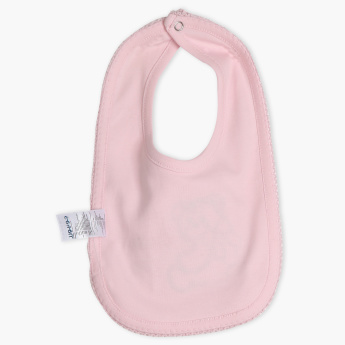 Make your little one's mealtime a fun experience with this adorable bib. Featuring a striking embroidery work on the front, this bib will conveniently protect your kid's clothes from staining.